Google Tuesday formally revealed the long-rumored successors in its Nexus line of smart phones — the 5.7-inch, quad-HD Nexus 6P and the 5.2-inch Nexus 5X. The 2015 Nexus lineup represents the first Nexus rollout that includes two different models. Nexus models are typically showcases for the latest Android technologies. Both of the models will come with Android 6.0 Marshmallow. 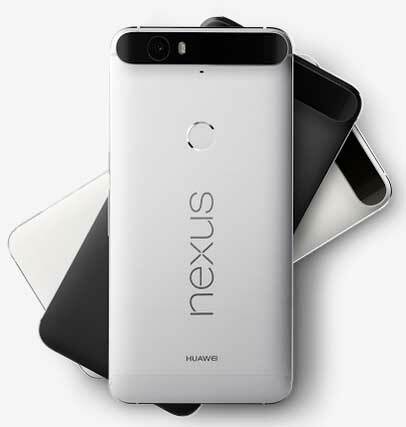 The Google Nexus 6P features an eight-core, 2 GHz processor and WQHD display. The Nexus 6P, being manufactured by Huawei, sports a 5.7-inch WQHD (2,560 x 1,440 pixels) AMOLED display with a pixel density of 518 PPI. Its 12.3 megapixel rear camera can capture up to 4K-resolution video at 30 frames per second; its 8 megapixel front camera can handle HD video at 30 FPS. The device features an eight-core, 64-bit, 2 GHz Qualcomm Snapdragon 810 v2.1 processor, an Adreno 430 GPU, 3 GB RAM and up to 128 GB internal storage. Significantly, it also features a USB Type-C port. USB Type-C supports bi-directional power and USB 3.1, with speeds of up to 10 Gbps. 802.11a/b/g/n/ac 2x2 MIMO, dual-band (2.4 GHz, 5.0 GHz) WiFi. The device is available for preorder now for $499. It's expected to ship in five to six weeks. Google has also revealed the Nexus 5X (being manufactured by LG), which offers a 5.2-inch display with a 1080p resolution (1,920 x 1,080) and a pixel density of 423 PPI. Like the 6P, the 5X features a 12.3 megapixel rear camera capable of capturing 4K video at 30 FPS. The 5X sports a six-core, 1.8 GHz, 64-bit Qualcomm Snapdragon 808 processor, an Adreno 418 GPU, 2 GB RAM and up to 32 GB internal storage. The Nexus 5X starts at $379. Further details on both models can be found at the Google Store.